A Thanet councillor says an ideal solution for implementing three hyper-acute stroke units across Kent and Medway has been ignored. Conservative district councillor Sam Bambridge is urging South Thanet MP Craig Mackinlay to take up the fight against the removal of stroke services at Margate’s QEQM and says evidence from NHS bosses shows an option that would mean the majority of those in the county would need to travel no more than 30 minutes for specialist treatment. Currently plans for three hyper-acute stroke units in Kent and Medway have services earmarked to be provided at William Harvey Hospital in Ashford for all east Kent patients. But Cllr Bambridge says the option for hyper-acute units at Margate’s QEQM, Maidstone (MGH) and Ashford (WHH) is a much more logical solution and has questioned why it has been discounted. In her letter the Westgate councillor said: “Thanet council’s QEQM Advisory Group, at its meeting on Thursday, April 19, made its position quite clear that this is unacceptable due to unrealistic travel times to the nearest site, our demographics including, density and an aging population in addition to the obvious added pressure on family networks to visit affected relatives at distant locations. 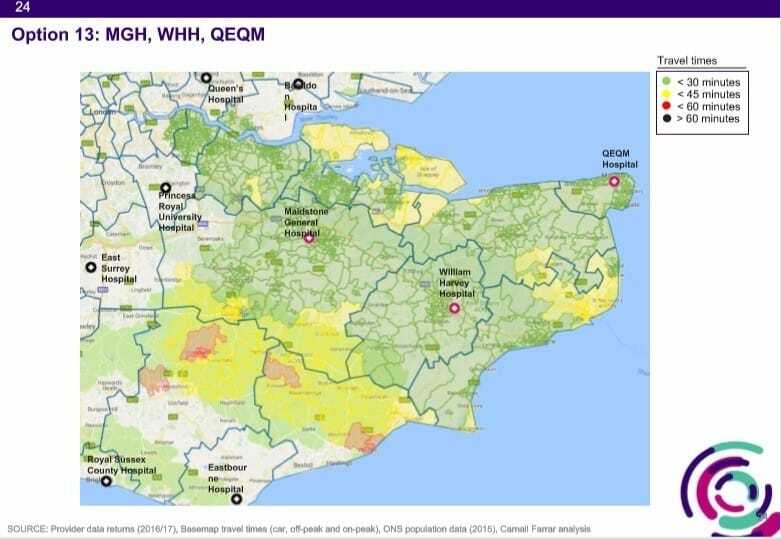 “Having studied CCG’s catchment area modelling, it is quite apparent that the fairest, most logical option for 3 HASU’s is to position them at QEQM, Maidstone (MGH) and Ashford (WHH). This affords the greatest coverage and enables most stroke victims to arrive at a suitable hospital within the stated 30 minutes as advised by the Stroke Association. Cllr Bambridge has also questioned whether attracting specialist staff would be an issue. 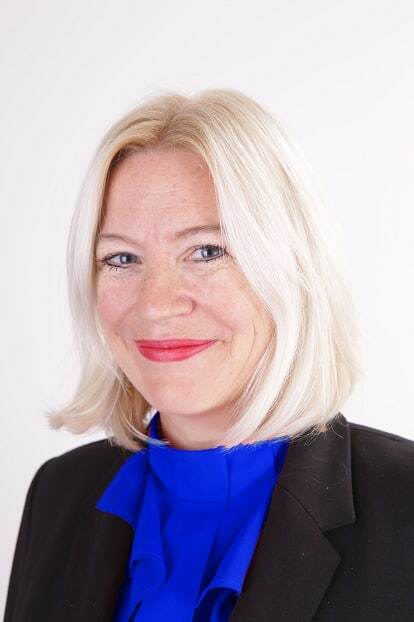 She said: “Having extensive experience in the recruitment industry myself, I am confident that a well targeted recruitment campaign highlighting the benefits of living and working in a beautiful area like Thanet, with the added bonus of a coastal lifestyle, good schools and low house prices would be extremely attractive to medical professionals. 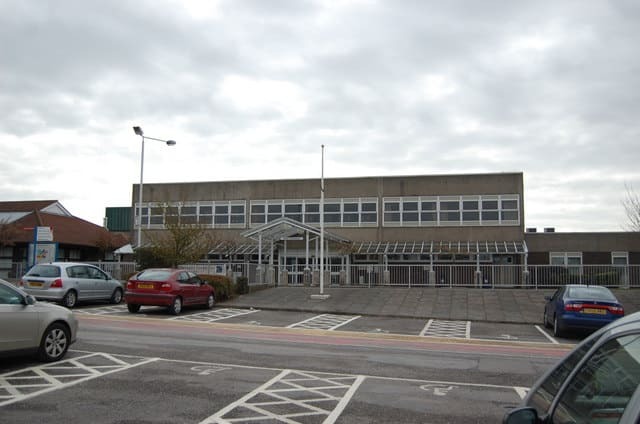 “I have noted that Conservative MP’s Kelly Tolhurst and Rehman Chishti are fighting the decision to have their stroke services removed from Medway Hospital, and their proposed nearest HASU is only 30 minutes away. They too question the accuracy of CCG’s research findings in paying attention to greatest need and deprivation and are pushing for a judicial review. Mr Mackinlay has called for a fourth unit to be based at QEQM. He said: “The option ‘B’ of Darent, Maidstone & Ashford as the sites of the 3 Hyper-Acute stroke units has long been trailed as the likely outcome, so I am not surprised by the announcement of the Kent and Medway NHS joint board. That does not mean that I am at all happy or convinced by the proposal. 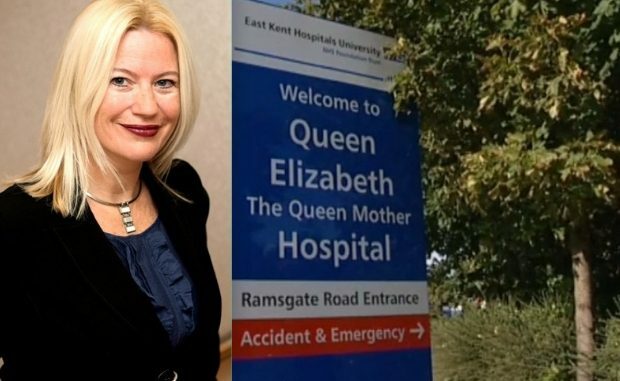 A spokesman for the review of urgent stroke services in Kent and Medway said: “Following a thorough and rigorous evaluation process, applied in a number of stages, the Queen Elizabeth the Queen Mother and the Kent & Canterbury hospitals were excluded from being potential hyper acute stroke units, because they did not meet the required criteria. Kent & Canterbury Hospital – does not currently provide a stroke service or the range of other emergency and urgent care services that are needed to support a hyper acute stroke unit. This meant it did not pass the second stage of the evaluation process. Queen Elizabeth the Queen Mother Hospital – does have the emergency and urgent care services needed to support a hyper acute stroke unit, but does not have a range of other services that are desirable to have alongside a hyper acute stroke unit. This meant that, while it was included in the medium list, it was evaluated less favourably than the William Harvey which has both the needed and desirable services. Cllr S. Bambridge views, thank goodness, appear to be contrary to Sir Roger Gales view. In Sir Roger Gales recent news letter he thinks that the possible increase in properties and population within Thanet, Sandwich & Canterbury and Herne Bay districts still make Ashford the best option. I am sorry I have to disagree also with Sir Roger Gale. Councillor Bambridge’s intervention looks good. Trying to protect our health services against Government cut backs. Hopefully, our MP , Craig Mackinlay, will join her in helping us out. But there is only one problem. The Government they are trying to protect us from, is THEIR OWN. So just how committed can they be? 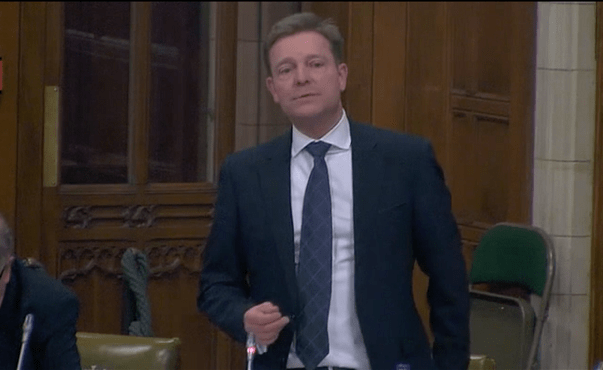 When the Government announces it’s budget, and there are yet more (sometimes hidden) reductions in cash available for the NHS, will Craig Mackinlay boldly vote against his own Party in order to protect our local services? I just can’t believe it will happen. At least Sir Roger Gale is being honest about it.He has given up trying to pretend that he will protect our health and lives. He gives it to us straight. In the great choice between protecting our health and welfare services, or rapidly paying the Banks off (for lending us the money to lend to them back to pay for all the money they lost without asking our permission), the banks win every time!! Anyone worried about losing our stroke unit should come to QEQM on Saturday 6th october at 12 noon for the demonstration organised by Save Our NHS in Kent SONIK. We will be on the Ramsgate road by the main entrance. The tragic outcome from agreeing with those Tories is we will lose people in Thanet when they could have been saved if services got the input of money to make it possible. It is ridiculous to imply there are no finances to make more stroke units available in East Kent. If the Government can throw billions of £££ at projects in other countries then it can and should improve our NHS and keep services where they are most needed. It’s ok for the MP’s to sit on their hands and give up on their constituents, but then we need to outvote them at the next elections and let others in who actually care about Thanet and it’s residents. Come to the SONIK meeting to join the movement fighting to save our stroke unit ay QEQM. Wednesday, October 17, 2018 at 6 PM – 7:30 PM, at The Red Hall, 11A Grosvenor Rd, Broadstairs CT10 2BT. Sam, how about writing an open letter to Matt Hancock, the Health Secretary? It’s a national plan, so let’s tackle it at government level. Our current government have no mandate to be making such sweeping changes to the NHS, and they certainly didn’t mention it at election time. Cuts to hospital units (A&E, stroke units, maternity, cancer care and paediatrics) are happening all across the country, with groups like SONIK fighting them. What would really help is for this to be raised and people made aware that this is a national issue and needs to have some thorough scrutiny on it. Ask Matt Hancock to stop the rollout of these destructive plans and find a better way to deal with the staffing crisis.